Ten bedroom houseboat provides air conditioning in both the rooms when ever its requested by the guest. 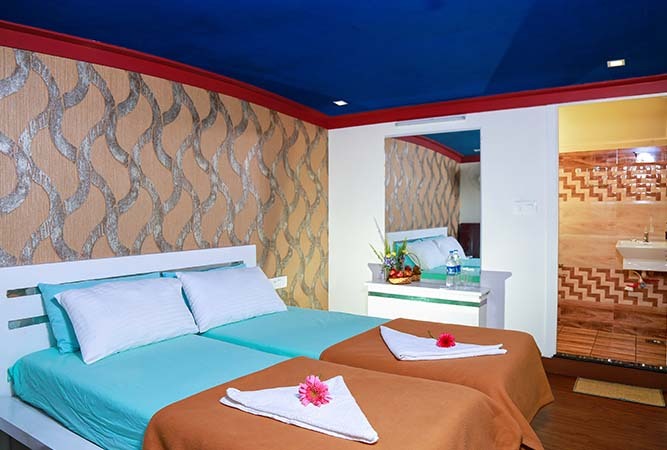 Ten bedroom premium package is the ideal for family/friends/conference/studenets and group trip. Group tours can be accommodated in the ten bedroom houseboat with cruise, stay and food for adults. 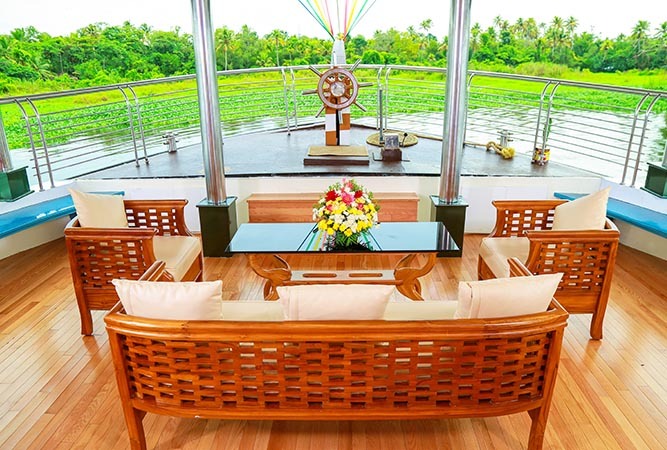 The default occupancy of the houseboat is 20 pax, more people can be accommodated if needed with extra charges and children below the age of 5 are complimentary. 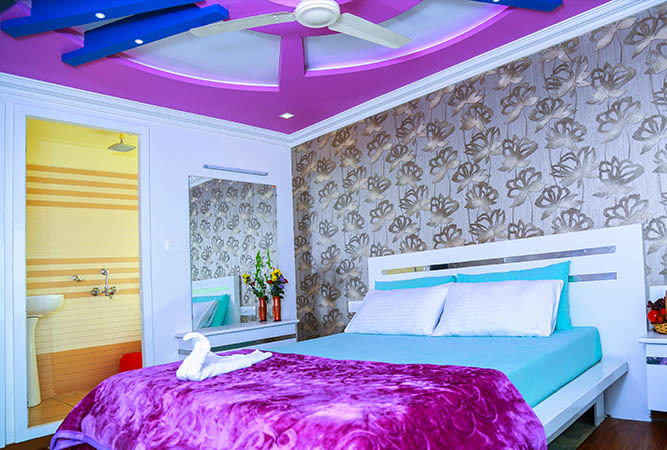 Each room contains a double bed, idle for a couple and a kid less than 5 years of age. 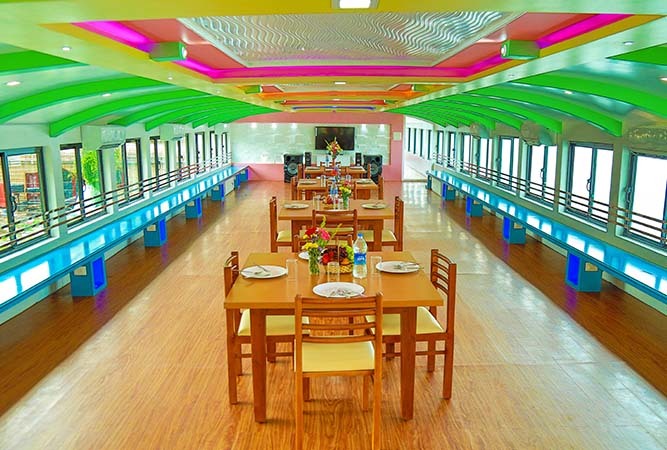 The houseboat contains a kitchen where the food for you will be prepared by our staff. The boathouse is also used to host events like birthday parties, anniversary and corporate team outings.